Happy Feast Day! Enjoy this piece from Msgr. Pope from last year. I like it because he discusses assumptions in the Bible (Mary isn't the first or only to be assumed) and he reflects on why we should care. 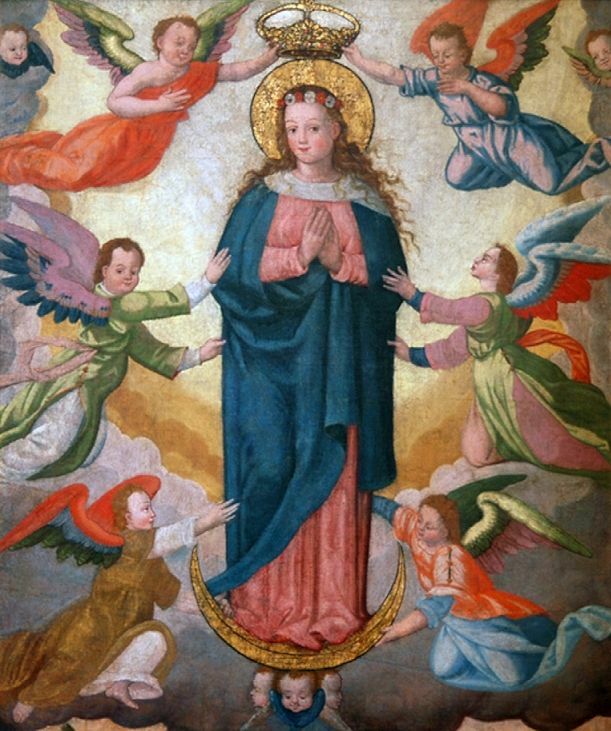 The assumption of our bodies prefigured by Christ in his own power and also in Mary by the gift of God, will one day be our gift too. For now, it waits till that “great gettin’ up morning.” Until that day, and on that day, fare you well, fare you well! Postscript: Just catching up on my homily reading and adding this here because it's Marian. Wow! The Holy Father's homily for Mass in Ecuador.